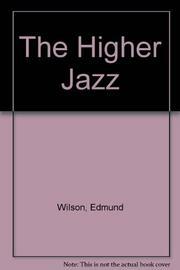 This unfinished and hitherto unpublished novel, drafted and then set aside by prodigious critic Wilson in the early1940s, offers some wonderfully vivid glimpses of the feverish last moments of the Jazz Age. It’s set in a two-year span, culminating in the Crash of 1929 and following the life of Fritz Dietrich, a young businessman who’s struggling to make a life as a composer. Included are haunting set-pieces that depict Fritz’s uneasy circulation among Manhattan’s nightclubs, burlesque shows, and florid artistic circles. Meanwhile, Wilson’s mordant wit and sharp eye are much in evidence, as is his habit of introducing thinly veiled fictional portraits of friends and lovers. Fritz, though, remains something of a cipher, and because Wilson put away the manuscript before Fritz’s quest had reached any conclusion, the story doesn’t so much end as simply peter out. Still, this comes as a welcome addition to the Wilson canon, offering fresh, frank snapshots of Manhattan in the ’20s, and reminding us that Wilson—though his great gift was criticism—also showed considerable skill as a novelist.